We've been doing so well with eating lots of veggies lately, and it's all because of how easy and delicious roasted vegetables are! 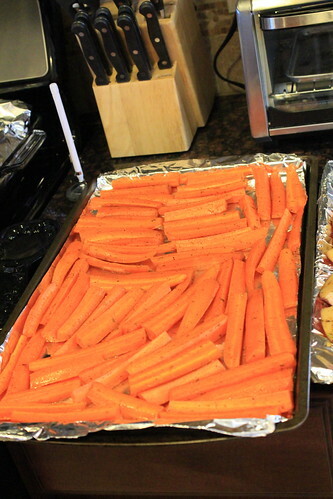 I don't even like raw carrots at all, but I LOVE these roasted ones! 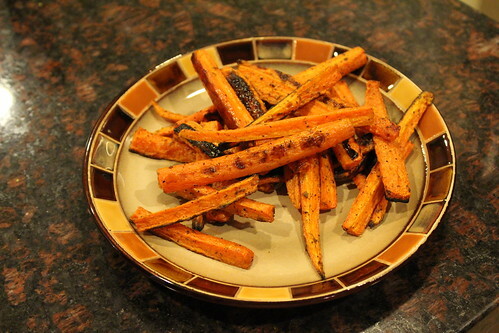 I made them once while my brother-in-law was over, and he thought they were sweet potato fries! That's how delicious they are! Directions: 1. 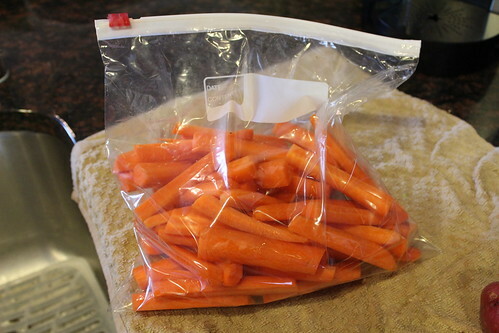 Cut carrots into long slices and place them in a large Ziploc bag. 2. 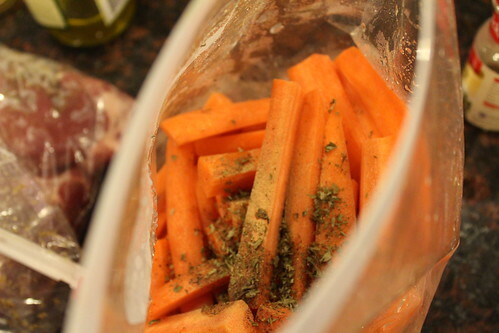 Add olive oil, pepper, and parsley to the bag and give it a good shake until all the carrots are coated. 3. Cover a rimmed baking sheet with foil. 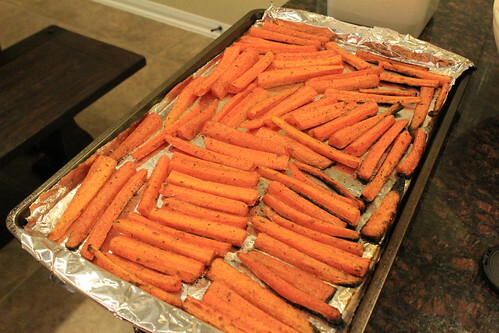 Spread the carrots in a single layer on the baking sheet. 4. Roast at 425 degrees for 20-24 minutes. Yum! These look great. I actually love carrots in all forms...but roasted veggies are my favorite. Have a great weekend!